Pfizer has announced that the first-pass analysis of its ‘Amaryllis’ trial, testing a PDE-10 inhibitor drug, shows the drug did not meet its target of improving Huntington’s disease symptoms. As a result, the open-label extension study will be stopped. This is not the news we’d been hoping for, but we’ve learned a lot about HD along the way. In a call with investigators, drug company Pfizer yesterday announced negative results from the first-pass analysis of its Amaryllis trial. Unfortunately, the trial drug failed to show significant improvement in the main symptom it was targeting – movement function – or any of the other symptoms it might have helped with – thinking ability, behavioural problems and activities of daily life. 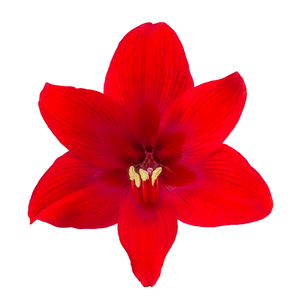 The amaryllis is the emblem of the global HD community. Despite this negative trial result, we remain determined to fight on. As a result, the company has decided to terminate the still-running open-label extension study that many participants in the Amaryllis trial had been entered into. The Amaryllis trial was testing am experimental drug code-named PF-02545920, which acts on signalling chemicals inside brain cells. It had been hoped that it would improve the communication between neurons, which is one of the things that goes wrong in HD brains. PF-02545920 reduces the activity of a molecular recycling machine called phosphodiesterase 10, so it is known as a PDE10-inhibitor. The trial included 271 people with Huntington’s disease in five countries. At the end of the trial, participants were invited to participate in the open-label extension study, in which everyone receives the active study drug at the highest dose they could tolerate. Participants in that extension study will now be contacted to be informed of the negative outcome of the trial, and instructed on how to reduce and stop the study drug. Participants should wait to be contacted, or get in touch with the study site, but should not just stop the drug immediately. Testing experimental drugs in people is really hard, especially for a disease as difficult to treat as Huntington’s disease. Sometimes, a trial drug turns out to be unsafe, causing some kind of unexpected harm to patients taking it. It’s very important to note that as far as we know now, this was not the case with the Amaryllis trial: there were no major safety issues with the trial.The other risk is that an experimental drug just might not work as well as hoped. Despite our best efforts to test only HD drugs that look promising, the brain is a complicated thing. A brain with HD is extra-complicated, because it’s changing all the time. How ever good the science that precedes a trial, we can never perfectly predict whether an experimental drug will actually do what we hope, when it’s given to patients. This is undoubtedly sad news. We had been enthusiastic about the drug and the trial and Pfizer had done a great job of working with the HD scientific and family community to study the science of PDE10 thoroughly – in the lab, using brain scans and finally with a well-planned and well-executed trial. We couldn’t agree more. All that work by researchers and HD family members has not been wasted. Thanks to Pfizer and its collaborators, we now have a much better understanding of how HD progresses, and the role of the PDE10 enzyme in the disease. Scientists will continue to comb through the data generated in the trial to try to figure out why the drug didn’t improve symptoms as had been hoped. Others will continue to study PDE10 and try to come up with new ways of improving communication in the Huntington’s disease brain.